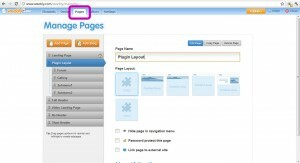 DivTag templates comes with multiple page layouts. 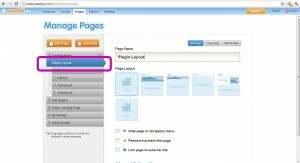 The number of page layouts depends on the DivTag template that you purchased. 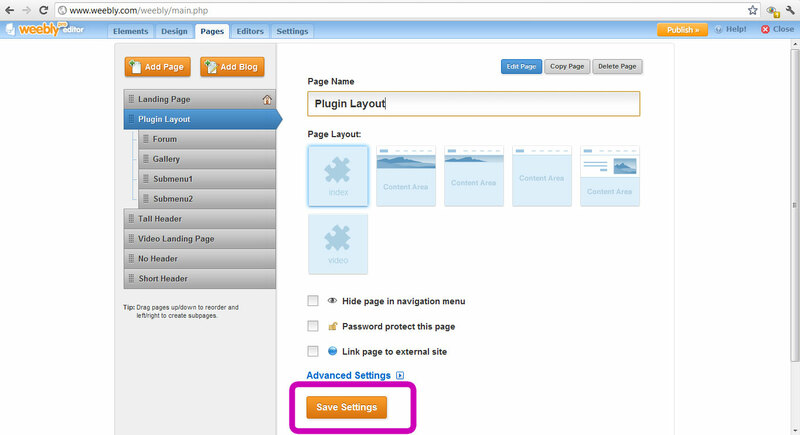 After you have installed a DivTag Weebly plugin (sold separately), the plugin is only set in place when you set or designate a specific web page as a Plugin Page Layout. 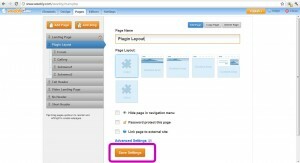 To do this, you need to select a web page in Weebly Editor, and click on the Page Layout block that says “Index”. 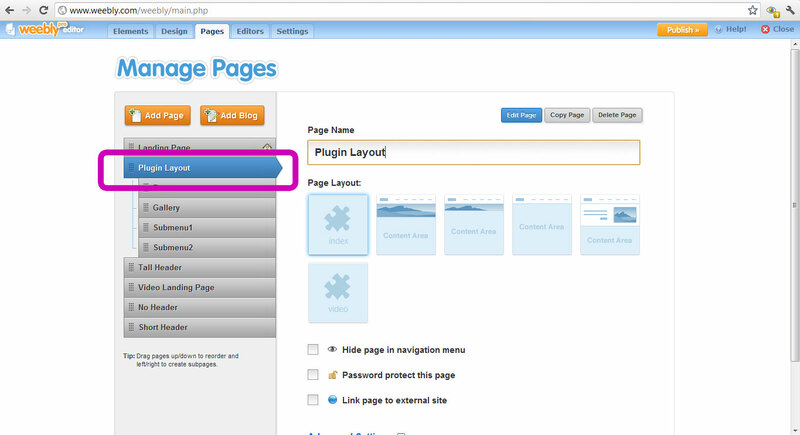 Lastly, to activate the plugin, you need to PUBLISH the website. 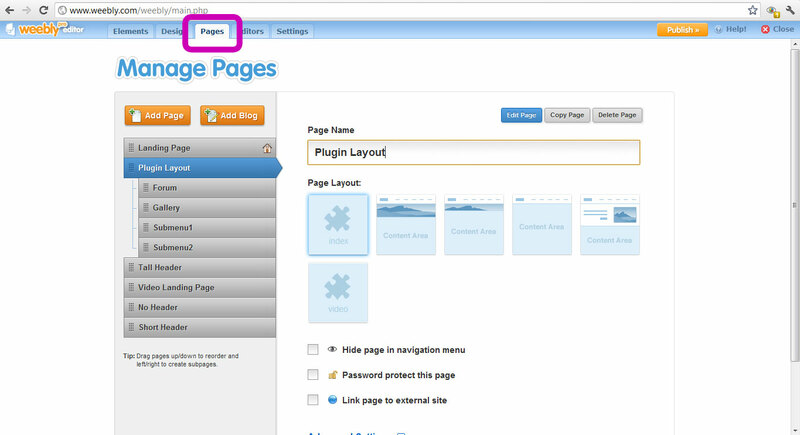 Visit our blog post and tutorial video here to find out how to quickly and painlessly switch between Weebly page layouts to preview how the layout configuration will look before publishing. ← Where can I find the main-style.css page?